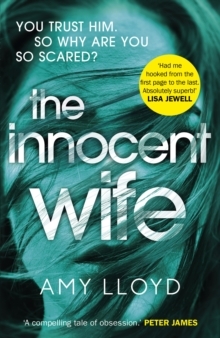 'Bone-chillingly brilliant' SUNDAY MIRROR______________When you can't remember your crime... HOW DO YOU KNOW IF YOU'RE GUILTY?Charlotte wants a fresh start. She wants to forget her past, forget her childhood crime - and, most of all, forget that one terrible moment. It's the reason she's been given a new name, a new life. The reason she spent years in prison. But even on the outside, with an ankle monitor and court-mandated therapy, she can't escape the devastating memory of the night that turned her and her only friend into national hate figures. But now her friend has found her. And despite the lies she tells to survive, she soon finds herself being dragged deeper and deeper into a past she cannot confront. Even if it's going to cost Charlotte her life... ______________`Written with experience and style... a thriller, a chilling one an' all'ANNIE CLARKE, FROST MAGAZINE'Wow! What a compulsive, chilling novel. Both Charlotte and Sean are so thoughtfully and believably drawn, I felt almost as if I was intruding on their most private of thoughts - it makes it a really sinister and yet ultimately tragic story. 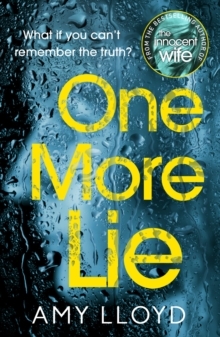 What I loved about this one is how skilfully Lloyd builds up an almost unbearable dread'CATHERINE RYAN HOWARD, author of DISTRESS SIGNALS and THE LIAR'S GIRL'I'm a huge fan of Amy's writing and I read One More Lie pretty much overnight. This is another incredible book from Amy, which I know will do really well. I found it gripping, intriguing, sinister and it really had me hooked from the first page! I will definitely be recommending it to everyone! 'KAREN HAMILTON, author of THE PERFECT GIRLFRIEND'I read it in a day. Superb. I'll be thinking of this for ages to come. 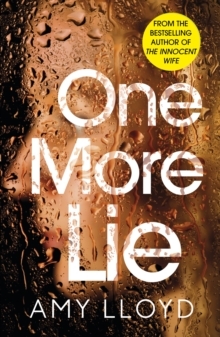 An absolute masterclass in suspenseful storytelling.' JO SPAIN, author of THE CONFESSION`A chilling, tragic story that feels like you're reading behind the scenes in a real criminal case. 'ARAMINTA HALL, author of OUR KIND OF CRUELTY`A remarkable book. With complex characters, a pacy plot and a real sense of menace that gradually builds up throughout the novel, this is one hell of a read. 5 stars. 'CRIMESQUAD`A thought-provoking, heart-breaking tale. I couldn't have loved it more. 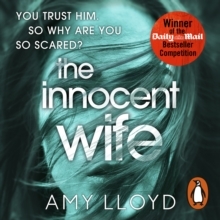 'THE SUN______________Readers love Amy's gripping follow-up to The Innocent Wife:'Had to limit my reading each day as I desperately wanted to know what happened but didn't want it to end''I was scared to finish this book and scared not to... a gripping story beautifully told''kept me in the story right the way through to its gripping finale''I really enjoyed Amy's first book and this one is even better.